There is an easy way to make your brunch or dinner party look elegant without a lot of work. 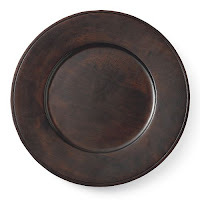 This charger is from Williams-Sonoma and will work with almost any dinnerware. Use it for your next holiday party or Sunday brunch. Enjoy!